DCA Certified Public Accountants understand the most valued aspect of what we do and who we are is the relationship we build with our clients. Not just tax specialists, we are experienced professionals in the fields of accounting, auditing, valuations, consulting and planning who seek to carefully evaluate your current needs. With your objectives in mind, we offer practical solutions to guard your interests and innovative strategies to shape your financial future. Founded in 1992, Donovan Donohoo, Jr. opened the Milford, Ohio, office of Donovan Donohoo, Jr. and Associates, Inc. after working side by side with his father, Donovan Donohoo, Sr. in Batavia, Ohio, for over a decade. Roger Cupp joined the rapidly growing firm to further enhance the client services to an expanding base of local, greater Cincinnati area, regional and international clients. DCA Certified Public Accountants past and continued success is directly attributed to the investment we have made in the success of our clients, our most valuable assets. We strive to provide the peace of mind that allows you to purse your goals. TaleMed has depended on Donohoo, Cupp and Associates for the last 8 years. We appreciate all of the hard work that goes in to preparing and completing our taxes each year. The knowledgeable and trustworthy staff make tax preparation more efficient for our small business. We would recommend them to other businesses. I do look forward to working with your company in the future because I am very satisfied with the results. My relationship with the Donohoo, Cupp & Associates CPAs started almost 25 years ago. I was starting my business and found the world of taxation surprising and intimidating. With the help of your company it became manageable and the help and information provided made things much less intimidating. With time our relationship grew to not only preparation of taxes but help with planning for the future and finding solutions in this complicated world ruled by many, many regulations. The thing which I found the most valuable is the personal attention and when faced with solutions to a problem, discussion and proposals of different solutions with different benefits . I do look forward to working with your company in the future because I am very satisfied with the results. President, Jan S. Labeda, DDS, Inc.
As the Executive Director of the Milford Miami Township Chamber of Commerce and representing many a small business in the area, it is critical that you have expert support in the key areas of your business. Choosing the right Support in accounting and tax preparation is critical. When looking for support in these areas, I highly recommend Donohoo, Cupp & Associates. The Chamber has had a working relationship with them for over 20 years. I assure you they will fulfill your business needs with friendly service. We have had a professional relationship with the Donohoo Associates for over 50 years. They differentiate themselves by their personal and professional service always looking for our interests. Donnie and his team bring real value to our multi state international practice by staying on the cutting edge of the issues. “One client describes Donohoo, Cupp and Associates as unique and trouble-free. 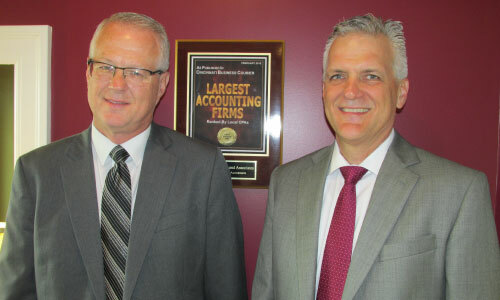 Donohoo, Cupp and Associates, provides assistance with updating in house accounting computer systems and software. They are always available when we need special statements or tax returns. One phone call to Donohoo, Cupp and Associates and we have exactly what we need. We have used Donohoo, Cupp and Associates’ services for our business and personal needs since the company began and we plan to continue that relationship into the future. We would “recommend this firm to all, personal and business. I have always appreciated the special attention I have received from Donnie and Roger. Thank you for taking the worry and aggravation of what I have to do next and how I go about it! It frees my mind so that I can think and accomplish more for getting new customers, planning special events and so much more. I’d recommend to anyone. President, Row House Gallery, Inc.
Our company, Custom Home Elevator & Lift Co, Inc., became a client of Donohoo, Cupp and Associates in 2010 and the difference between our old accounting firm and working with Roger Cupp and Christie Imfeld has been night and day. Both Roger and Christie are available by phone when we call, no more having to leave messages and hoping for a return call. They are always willing to come by our office for a meeting when the subject requires a face to face discussion. Tax laws are explained to us in laymen’s terms so that we feel we have a good understanding of tax issues facing a small business. Christie has educated our Office Manager on Quick Books and that has been a great help to our organization. We are Very appreciative to our business attorney for recommending Roger Cupp to us! Custom Home Elevator & Lift Co. Inc. Thank you all for your commitment and dedication to your mentoring students this year. It has definitely made a difference with those young men, and your time has been well spent. It truly takes efforts like this to make CNE successful, and it is much appreciated.